We knew he possessed endless stamina but on Newbury's Super Saturday he showed he also boasts considerable speed, delivering a dazzling effort to boost his Timico Cheltenham Gold Cup claims. As Coleman so neatly summed up: "He's the whole package." Brocade Racing's Native River was sent off 11-10 here and is now generally a 4-1 shot for the Gold Cup behind 7-4 stablemate favourite Thistlecrack. "It was a brilliant performance," said Tizzard. "Richard and Aidan were talking beforehand about how best to ride him. In the Hennessy and Welsh National he went clear but then only just held on. This time we decided to hold on to him for longer and he has sprinted to the line. "He isn't just an out-and-out stayer. He has pace as well. We had been riding him to outstay horses, and he can do that, but we don't have to go on five out. He has every gear. In a cat and mouse race we wondered if that gear would be there at the end – and it was. That was fantastic." Owner Garth Broom had feared "we may have been tapped for toe" but ended up pleasantly surprised. So did Coleman, who had last worn the Brocade silks when, according to Tizzard, "decking Hey Big Spender" in the Hennessy. "He was absolutely brilliant," said Coleman. "He is so uncomplicated and straightforward. He was a pleasure to ride and what Richard Johnson told me beforehand made my job a lot easier. "I know his profile as well as anyone else. He has won a Hennessy Gold Cup and Welsh National so, although I wouldn't have called him just a slogger, I knew he stayed well. He's got a lot of natural speed and class, too." As has Johnson, about whom Tizzard said: "Dickie told me he felt wobbly and wouldn't have been able to do the horse justice. He said he would have loved to have ridden him but he felt terrible. That's the man he is." 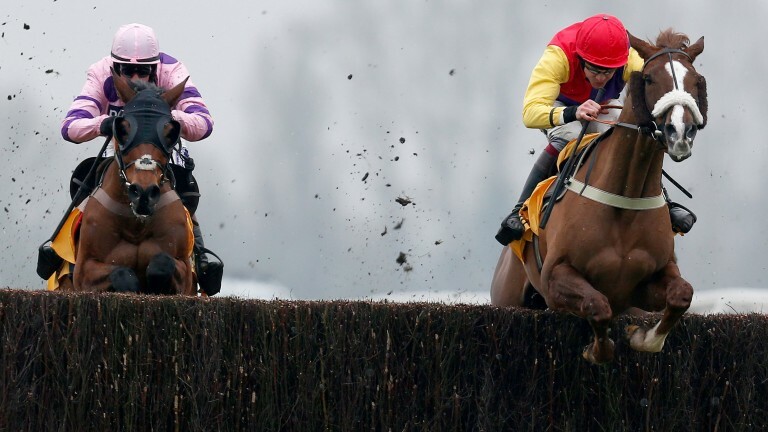 Paul Nicholls, a man this season without a horse of Native River's calibre, said Le Mercurey had "run a blinder". Bristol De Mai did not, leaving Nigel Twiston-Davies to say: "He has run a bit flat and simply did not sparkle. We have about five weeks to sweeten him up and get him back before Cheltenham." 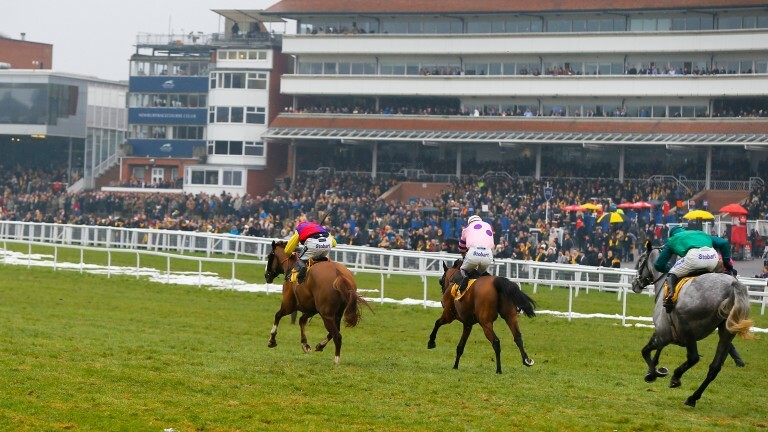 Come Cheltenham, Tizzard hopes Native River and Thistlecrack will be joined in the Gold Cup by next week's Betfair Ascot Chase favourite Cue Card, Alary (who runs at Exeter on Sunday) and Theatre Guide. No wonder he was smiling at the possibility. "I don't know if I've ever had a pecking order," he said when asked which one he fancies most. "Let's hope we run all five. That would be fun. I'm just so proud to have these horses. We'll run them together. Then you'll see who is the best."